Puff pastry is the finest of doughs. It is crisp, buttery, flaky and especially light. 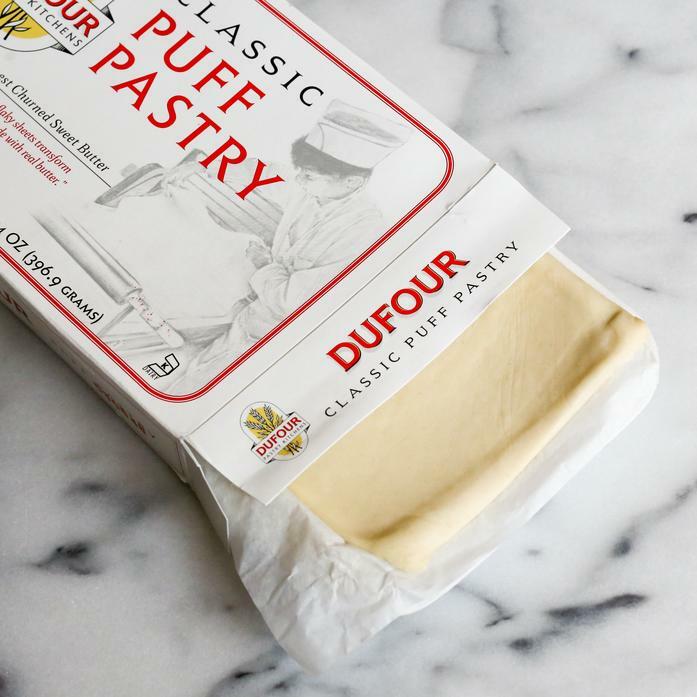 Our Puff Pastry dough is made with care and love, by first enclosing a "butter block" in the dough, which is then folded and rolled out numerous times to create hundreds of alternating thin layers of pastry and butter. Ingredients: USDA Grade AA Butter (Cream, Natural Flavorings) Unbleached Unbromated Flour, Water, Salt, Lemon Juice.